Cloverdale's Ladies Night Out 2018 holiday shopping event was a great success with over 1000 ladies attending! Thank you to all of our volunteers and businesses who participated, and of course to everyone who attended. 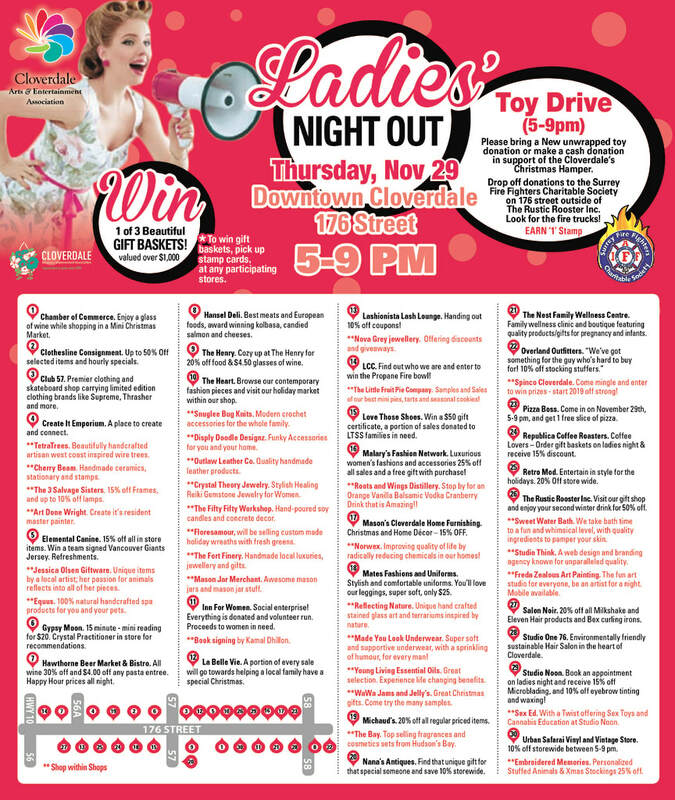 Any shoppers who shopped at a minimum of 3 participating businesses during the Ladies Night Out event were entered into a draw to win one of 3 gift baskets, with items generously provided by the participating businesses and vendors. Neena B., Sue Joy and Lisa Matthies are the 2018 winners. Congratulations ladies! 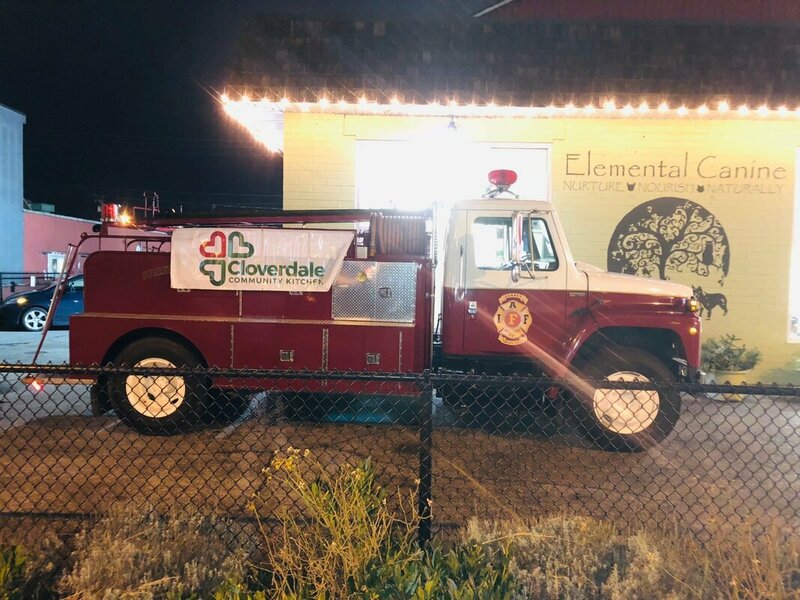 This year the Surrey Fire Fighters Charitable Society was on site collecting toys and donations in support of Cloverdale's Christmas Hamper. In addition to many donations of toys and food, we raised $1,047.49! A big thank you to everyone who donated to help our families in need.